Includes: (1) roll of 81 feet of perfect purple crepe paper. This versatile crepe paper can be hung on walls, windows or doors with ease. 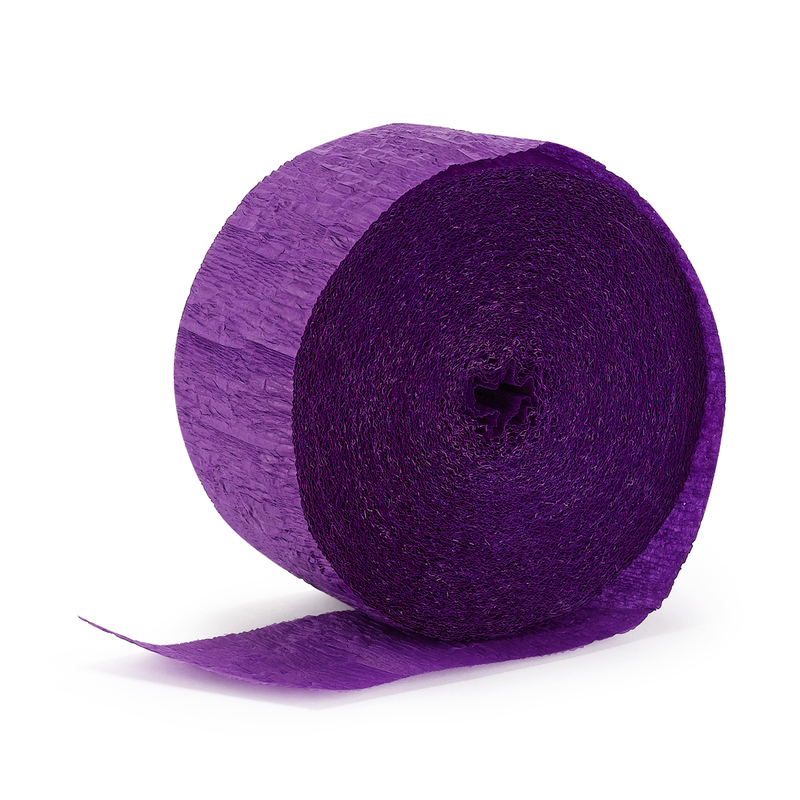 If purple alone is not enough, you may also want to mix and match this crepe paper with other colors to add more vibrant excitement to the party! 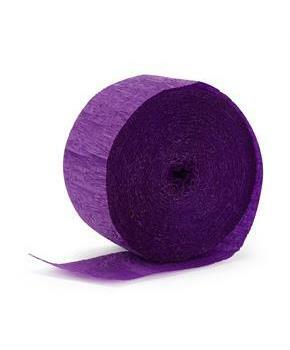 Includes: 1 Roll of Perfect Purple (Purple) Crepe Paper.